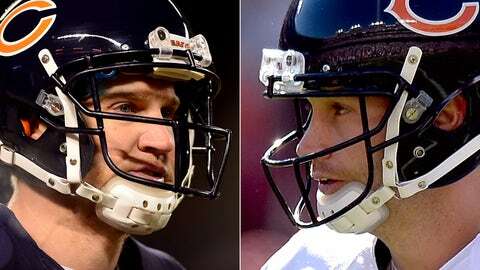 Josh McCown’s five-touchdown performance in the Bears’ 45-28 win over the Cowboys has garnered him some support from former Bears linebacker Brian Urlacher. McCown, who has thrown 13 touchdowns and just one interception this season, has filled in admirably during Jay Cutler’s absence because of injury. McCown has bounced around in his 11 NFL seasons, but has had his best year while Cutler has been recovering from multiple injuries. Urlacher also believes from watching Cutler in pregame Monday that the eighth-year quarterback might be healthy right now. The Bears, who are tied with the Lions atop the NFC North, travel to Cleveland this week.